If you’re an owner or a tenant of an apartment building, then you may be aware of the confusion and contention that arises regarding responsibilities, treatment options and payment for a bed bug infestation. New Hampshire’s new bed bug law intends to clarify who is responsible for the problem – the owner or the tenant. According to the new law, if a tenant reports an issue with bed bugs, owners, landlords, and property managers are responsible for hiring a pest management company and paying for the treatment. Only after the treatment is completed may a landlord request reimbursement from, or enter into a “Reasonable Payment Agreement” with, the tenant if the tenant is proven to be responsible for the issue. Were there bed bugs anywhere in the apartment building before the tenant moved in? In which unit were bed bugs first discovered? Did the landlord have the apartment and adjacent apartments treated for bed bugs prior to the complaint? Did the tenant have bed bugs at his or her previous residence? Documentation, such as an inspection report, given to a landlord from a pest management company that states whether or not bed bug activity was detected in the unit prior to the tenant’s tenancy may also be reviewed. Investigate a bed bug complaint within 7 days of the complaint. Immediately partner with a reputable pest management company to treat the issue. 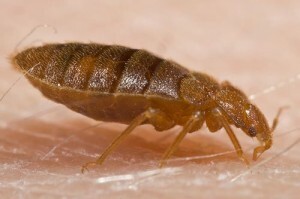 Plan to pay for treatment costs, though you may be able to recover costs if it’s proven that the tenant is responsible for the bed bug infestation. Supply tenants of all units being treated with the appropriate preparation requirements provided by the pest management company at least 72 hours before treatment. Report bed bug sightings or suspicions as soon possible. Allow landlords access to inspect the unit, provided the landlord has given 48 hours written notice. Comply with any preparation requirements supplied by the landlord, owner or property manager. Having a plan in place to deal with bed bugs will help mitigate the issue quickly and effectively and possibly prevent the issue from occurring in the first place. Have your pest management company inspect vacated apartments and keep documentation of inspection results. Consider bed bug detection dogs for regular inspections. Educate yourself, your tenants and your staff on bed bug behavior, identification and preventative measures. Strongly urge your tenants to use mattress and box spring encasements. Train your maintenance staff to monitor for and detect bed bugs. Include information regarding bed bugs in your lease agreement and establish a bed bug policy. It is critical for owners, landlords and property managers to read and fully understand the details of the new law. This article is not intended to provide legal advice, but rather help to clarify information about the law. If you have further questions regarding New Hampshire’s bed bug law, contact a legal advisor. Disclaimer: The information in this document is not intended to offer legal advice. If you have any questions about the law and your responsibilities, please contact a qualified legal advisor.